JAW Consulting UK | Cyber Security, Data Protection & Privacy Consultancy, and Resourcing. EU GDPR. Leading The Way to Compliance. Our Data Security & Privacy Consultants have vast experience with Data Protection and Compliance Regulations. Let our team remove the complexity of compliance with the new EU General Data Protection Regulations (GDPR) coming into force in May 25th 2018. Cyber Security Health Check. Get your business in shape. Identify, prioritise and simplify the steps your business needs to take to reduce the risks of Cyber Threats to your business with a Cyber Security Health Check. Penetration Testing. Ensure your business can withstand a real Cyber-Attack. We offer a comprehensive range of Penetration Testing & Red Teaming Exercises simulating a real cyber-attack, performed by Certified Penetration Testers. We provide a range of PCI Compliance Services, delivered by our team of qualified PCI DSS Security Consultants providing advice, reducing complexity, and managing your journey to achieving, and maintaining compliance. Cyber Security Strategy. Building your plan, enabling secure business. With C-Level experience, work with our CISO team to define a comprehensive Cyber Security Strategy, and transform your business with a Cyber Security Program. Specialists in Cyber Security, Data Protection & Privacy Consulting and Resourcing. 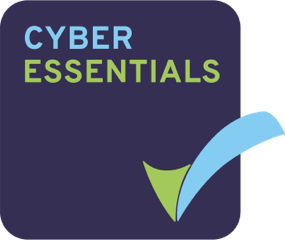 We offer a range of services including Penetration Testing, EU GDPR, Cyber Security Risk Assessment, Cyber Security Strategy & Architecture, Cyber Essentials, PCI DSS, ISO27001, UK DPA and other internationally recognised standards. Using a unique set of methodologies, we aim to embed security and technology as part of the standard business process, ensuring the value of data is recognised and protected throughout its life-cycle. JAW Consulting UK is proud to have a wide client base, covering all major industry verticals including but not limited to FTSE100, Financial Services, Insurance, Retail, Local & Central Government, Healthcare, and Utilities. Are you an independent Cyber Security or Data Protection & Privacy Consultant or passionate Technical Security Product SME (Subject Matter Expert)? If so, we want to hear from you. We operate across a range of niche practice areas, within our key focus in Cyber Security, Data Protection & Privacy.